Discarding beautiful bottles seemed like a missed opportunity to us as glass makers. 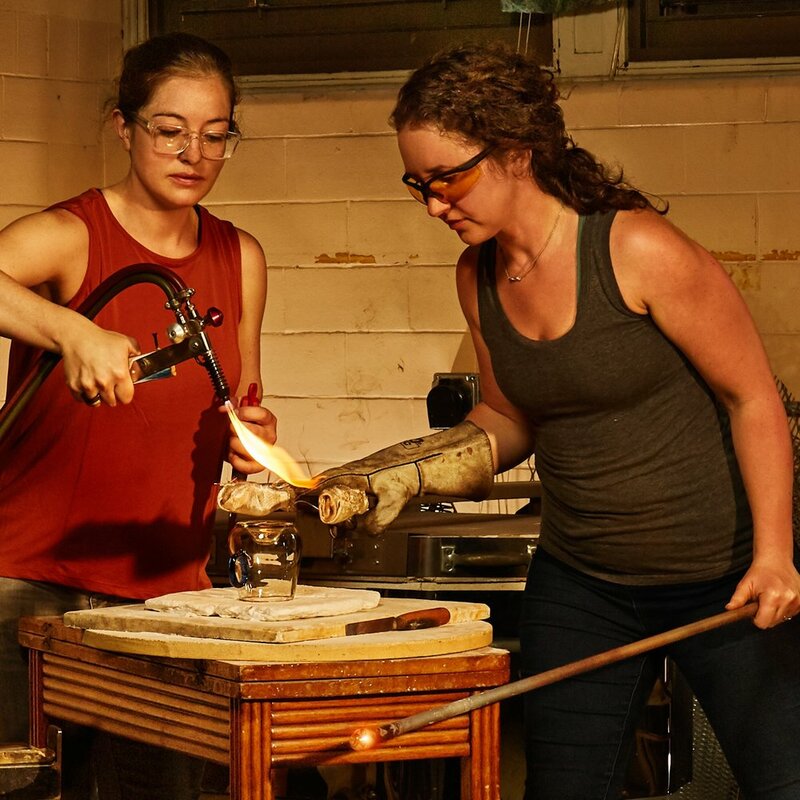 Danielle Ruttenberg and Rebecca Davies collaborated to develop an entirely recycled glass making process and founded Remark Glass. Now, Remark Glass has woven together a supply chain of businesses and neighbors throughout South Philadelphia thinking differently about their glass waste. Bottle glass is stiff and challenging, nothing like studio glass. After several years, our team continues to be motivated by bottles. 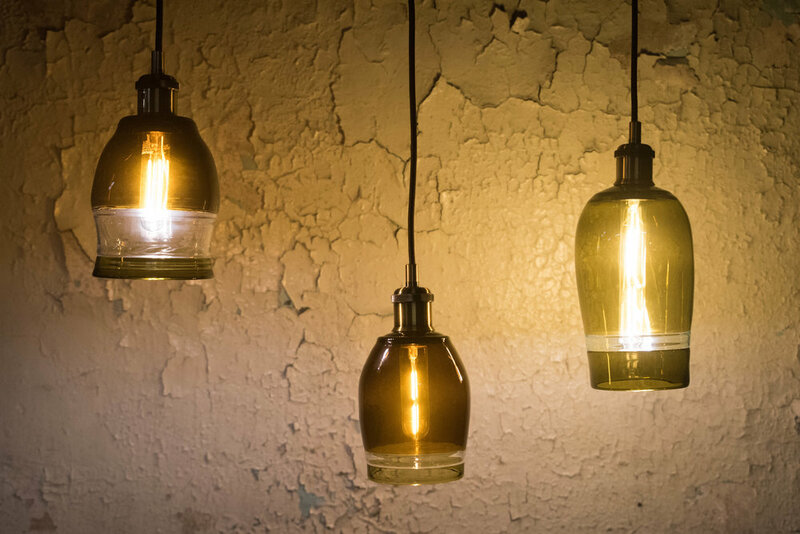 Our mission is to demonstrate skilled glassblowing and evolve the process to be more sustainable and energy efficient through the use of locally sourced bottle glass. 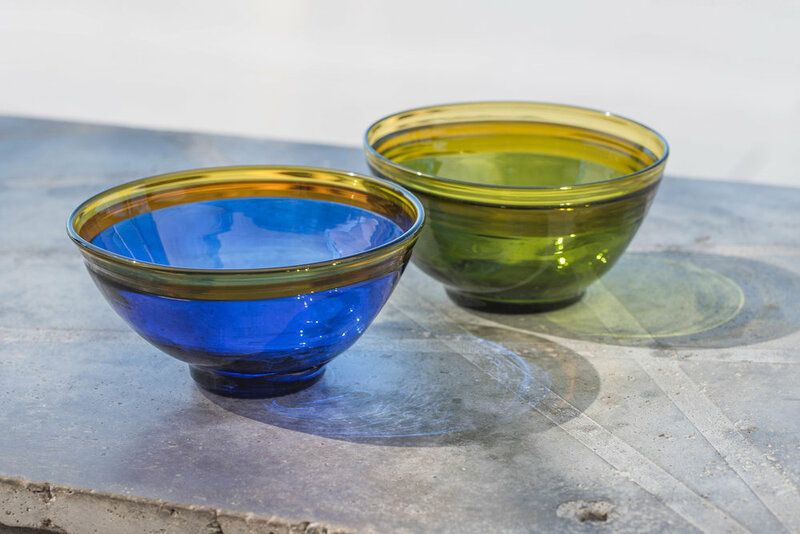 By heating and shaping bottles, Remark Glass creates hand blown table top and interior furnishings. Our unique designs capture a timeless color palette and showcase the history of each piece of glass. Remark Glass barware, bowls, and lighting wear the hand of the maker and the stamp of their mass produced past life with pride. We are insatiably curious craftspeople. Many of our projects are customized, sourced from wedding night keepsake bottles, an attic collection, or even a beverage company’s line of bottles. Each bottle is reheated and reformed one at a time using traditional glassblowing techniques modified for recycling. Each bottle is prepared, sent up in a kiln, picked up on a rod and brought up to its melting point. Then it is hand formed and spun using glass blowing tools while its at about 2000 degrees to create transformed functional glassware.